HIGH BLOOD PRESSURE WON'T SEND YOU A TEXT MESSAGE! Every single moment, your heart works hard to pump blood through your arteries and veins, to make sure the oxygen, nutrients that your body needs are delivered. High blood pressure or hypertension can be causing damage to your body for years before you experience any discernible symptoms. It might leave you with a permanent disability, a poor quality of life or even a fatal heart attack if you fail to take control of it. The only way to know if you have high blood pressure is to have it checked regularly. 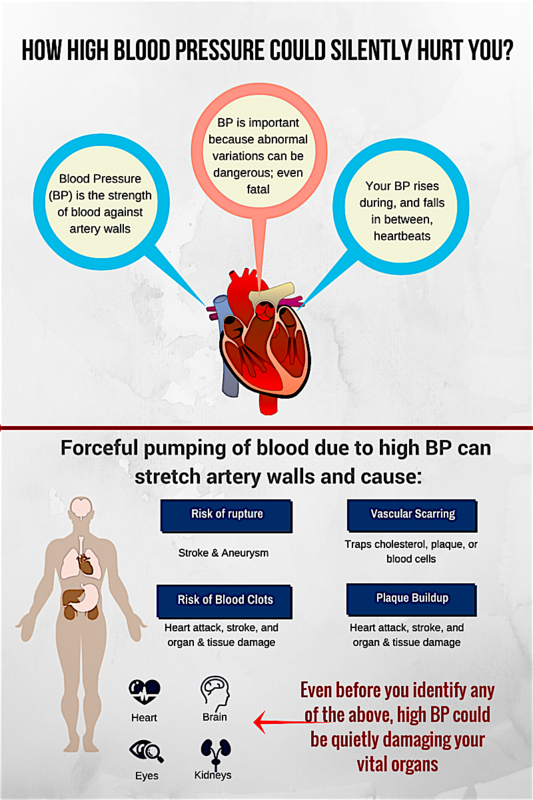 Uncontrolled high blood pressure can damage your heart in a number of ways.